Global strategic partnership agreement sealed at the Hannover Messe 2019: Hartmut Pütz, President of Factory Automation – European Business Group, Mitsubishi Electric, Dr. Stefan Spindler, CEO Industrial of Schaeffler AG, Rauli Hantikainen, Head of Industry 4.0, Schaeffler, Mr. Hajime Sugiyama, Industrial IoT Evangelist, Factory Automation Systems Group, Mitsubishi Electric, and Kazuaki Nakamura, Sales Engineer Industrial, Schaeffler (left to right). 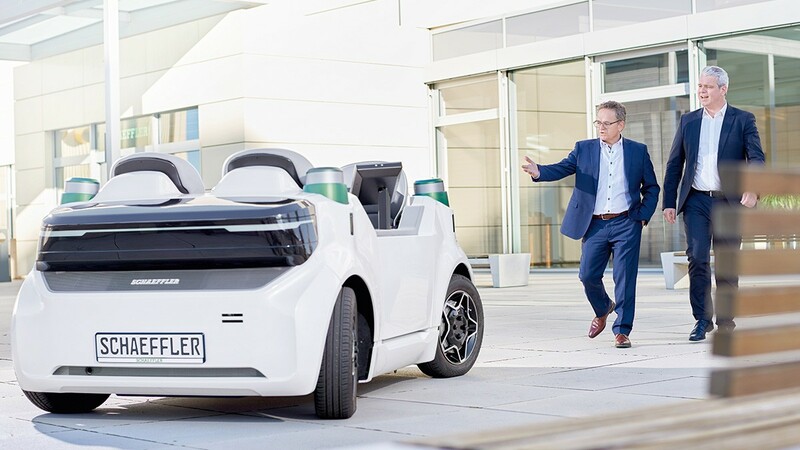 Mitsubishi Electric Corporation and Schaeffler Technologies AG & Co. KG announced a global strategic partnership as part of the e-F@ctory Alliance network. Since 2010 both companies have been partners in the e-F@ctory Alliance, which is part of Mitsubishi Electric Corporation’s e-F@ctory Concept. This concept supports companies with measures within the framework of the digital transformation, such as the integration of machine and plant data into MES (manufacturing execution systems) and ERP (enterprise resource planning systems). Mr. Noriyuki Shimizu, Corporate Executive Group Vice President Factory Automation Systems Group at Mitsubishi Electric, adds: “Over the last years, we have successfully carried out joint projects in various countries in Europe and Asia. 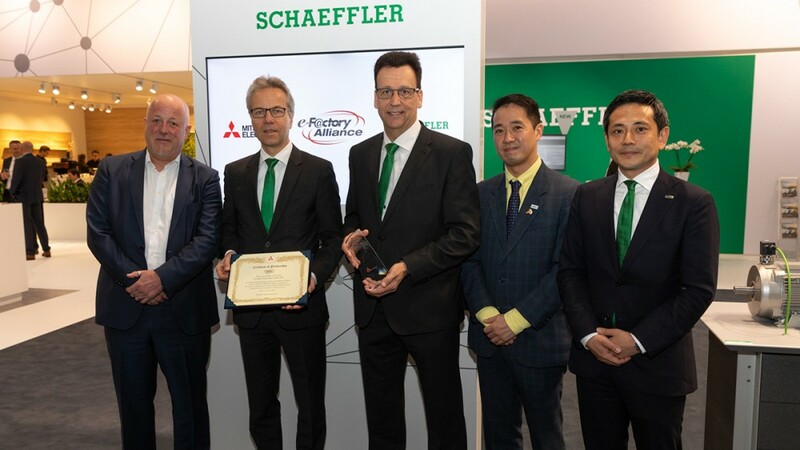 Now, we intend to intensify and expand our collaboration on a global level.” Schaeffler and Mitsubishi Electric collaborate to boost connectivity and to create Industry 4.0 solutions that reduce machine downtime and maximize productivity for the customer. For example, the machine protocol SLMP (seamless message protocol) implemented in Schaeffler condition monitoring systems enables vibration sensors to communicate bidirectionally with Mitsubishi Electric’s programmable logic controller and to transmit the characteristic values determined. The PLC processes the data into information, which is prepared as plain text messages and shown on a display. An additional integration level also allows the condition monitoring system to be connected with the PLC of the relevant plant via a network cable and Modbus protocol. Schaeffler contributes concepts that combine mechatronic products, condition monitoring systems, and digital services to form application-specific 4.0 solution packages. These provide the basis for the creation of customized products and services whose main focus is always on the effectiveness of the overall system. Mitsubishi Electric Corporation offers a vast range of factory automation and processing technologies, including programmable logical controllers (PLC), inverters, robots, servo-drives and HMI, helping to bring higher productivity and quality to the factory floor.